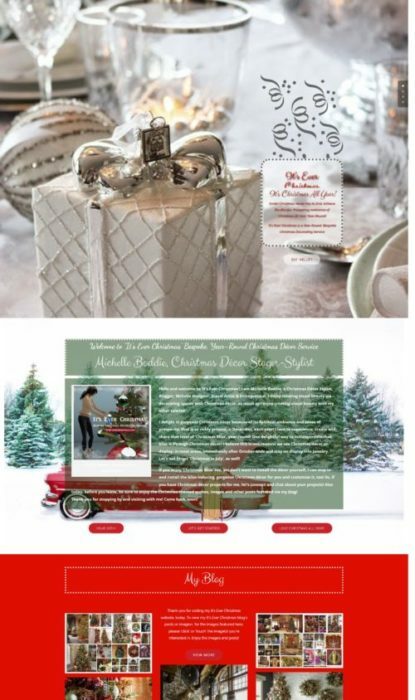 Christmas Decor: Snowy-White Tablescape & Glass Trees | Christmas All Year ~ It's Ever Christmas! 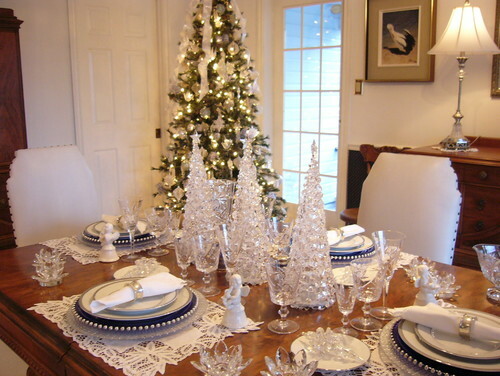 This dining room is staged with snowy-white as the dominant color of the dining decor on, and around, the table and the Christmas tree (in the corner). Every part of this elegant setting works so well together. Among my favorite accents on the table are the pearl-like beading on the charger-plates and the glass/crystal trees. This entry was posted in Christmas Decor, Christmas in October, Dining Table Settings, Trees: tall and tagged Christmas ornaments, Cristes Maesse, Cristes-messe, Dies Natalis, Kerst-misse, the Mass of Christ, Weihnachtsfest. Bookmark the permalink.